Before embarking on a journey, you must first know your direction. You have to know where you’re going. “It’s our trajectory,” says Amy Youngren, Partner and Sales Representative of real estate’s hottest new brand, North Group. Launched in Toronto on June 12th, the momentum of this fast-tracking team is undeniable with six full-time sales representatives and on pace to more than double before the end of the summer. Amy described it best: “When you think ‘north’, you think clear and focused. You know you’re going in the right direction, True North. We’re crystal clear on our vision, where we’re going and the impact it will have on our industry. Our existing brand, Urban Lifestyle Group was outgrowing its urban home and metropolitan focus. Now we’re reaching into markets outside of just Toronto, to serve the entire Golden Horseshoe from Durham through to the Niagara Region. And we’re just getting started. But North Group is more than just stepping across geographical boundaries. We’re pushing the boundaries of the industry itself, challenging what it means to buy and sell houses or condos today. We’re redefining the real estate experience. “Our slogan is Experiences Worth Talking About, so our goal is to create the most amazing experience for our clients. Plus, with the addition of North Group Property Management, we aim to extend that experience to our investors, landlords and tenants too." Partners Amy Youngren and Tim Yew merge each of their own unique visions into North Group — Youngren’s passionate leadership and creative marketing yin to Yew’s analytical, sales-driven yang. Together, they’ve created a turn-key platform. Our agents are empowered and set up for success from Day One - with top-of-the-line technology and tools, custom marketing, sophisticated coaching and training programs, inbound and outbound lead generation systems and a complete operational support team. At North Group, the agents focus solely on their clients and leave the rest up to the business platform Youngren and Yew have established. With this, all of our clients experience seamless, hassle-free, white glove service from a team this is 100% dedicated to their needs. That’s where North Group’s Client Concierge service steps in. Our concierge coordinates all property prep — from contractors to cleaners and junk removal, from staging to photography, video and every detail in between. We aim to execute a flawless, stress-free sale for every single client. Buyers seek out North Group for the same reason — a team of real estate professionals that, quite simply, know the market, know how to hustle and work hard to get the best price. Innovative technology and a strong emphasis on client communication keeps everybody in the loop, in real time. North Group is launching at just the right time. 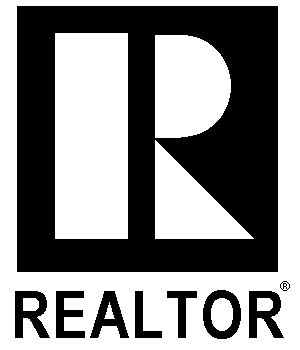 The industry is crowded with the noise of regulation changes and poor Realtor practices are rampant in the media. We want to show our authenticity and strength as a team to stay consistent and focused solely on our clients. In other words: North Group has arrived and is ready to get out there and help our clients buy, sell and invest in real estate and most of all, create experiences worth talking about.